These green beans are out of this world amazing! We usually make them for the holidays but they are good any time of the year. Like with many recipes, you could make them on the stove, but why not use the crock pot and save some time and space. 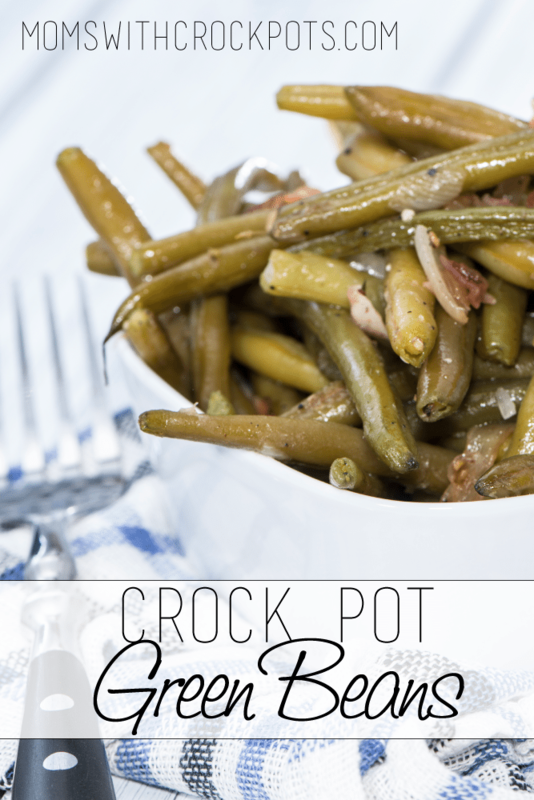 These Crockpot Green Beans are amazing! Of course, the little bit of bacon you add to this recipe increases the flavor and gives them that special something that makes everyone want the recipe! Pour 2 cans drained and 2 can undrained green beans in bottom of crock pot. Add chopped onion, bouillon cubes, pepper, garlic powder and cut up bacon. Stir to combine. Cover tightly and cook on Low for 4-6 hours. You may use frozen green beans (thawed), if you prefer. Is the bacon put in raw or cooked?